For Sarah, Christian Yoga is both a great workout and a power platform to share her love for Christ. She's a lifetime Grosse Pointe Resident, mother of four children and the best friend and wife of her husband of 33 years. Sarah's students appreciate the stress-relieving, spiritual class she delivers. Melissa's many talents make her a unique and gifted Christian Yoga Teacher. She's a worship leader on and off of her mat. She's the mother of six beautiful children and happily married to her husband of over 30 years. Her musical ability and her experience in dance and aerobics instruction led her to discover a passion for teaching Christian Yoga. Jackie is a passionate lover of God and has enjoyed practicing yoga for over a decade, therefore she is overjoyed to combine the two. 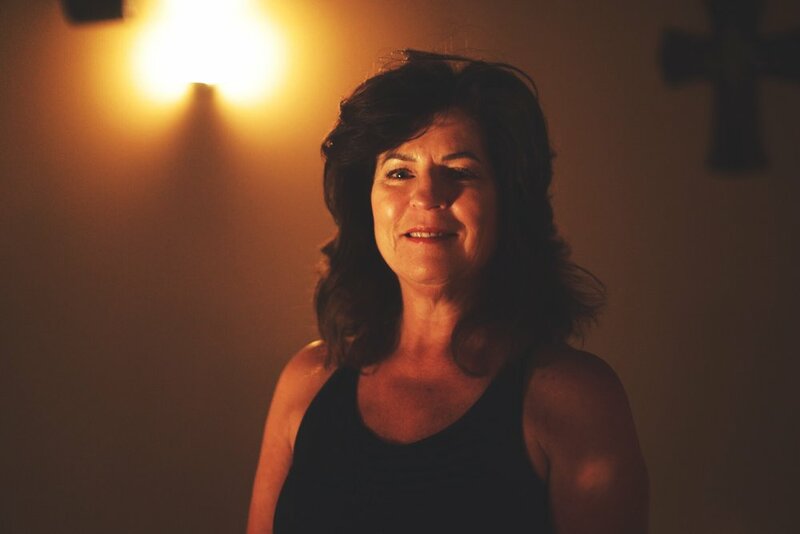 Jackie loves guiding students through a class focused on connecting with ones breath, flowing through a series of beginner, intermediate and advanced poses and most importantly, encountering Gods love, freedom and grace. Apart from teaching yoga, Jackie is a licensed social worker and therapist, wife and mother of active toddler. She is passionate about helping others find wholeness and healing in Jesus and through the power of Holy Spirit. Laine Johnson is a Grosse Pointe South high school student. She finds that Christian Yoga is an amazing way to destress and center herself in a busy life, and a great way to develop her relationship with Jesus. She aims help her students experience these benefits of Christian yoga in everyone of her classes. Laine finds that yoga is the highlight of her day and hope to spread her love of yoga with others. Emily is a local college student pursuing Elementary and Early Childhood Education. She originally started yoga to find a way to de-stress and strengthen her relationship with God, but then found that He was calling her there for something more. Between her busy schedule of school and nannying, Emily finds her yoga classes to be the highlight of her day where she can worship with others and have a restorative yoga practice. Pam is a wife, mother of two sons, and devoted Christian. Pam feels so blessed to be able to worship through Christian yoga and to bless others through yoga as well. Pam is full of love and takes great joy in people and personal relationships. She is spunky, but has a gentle spirit, which shines through in her classes. Pam is currently working toward her RYT-500 hour credentials. Sheri is a wife, mother of three, and a devoted praying Grandma. She began practicing yoga as a result of her experience with chronic pain, illness, surgery, and recovery. Following a call to teach, she trained at Yahweh Yoga and recently returned to Arizona to complete her 500-hour training experience in therapeutic applications of yoga. Sheri also holds a music degree and marvels every dat at how God has used both music and yoga to draw herself and others to Jesus and into the Kingdom. Christian yoga has brought peace, love and compassion into Jessica's life. Being a Mother of two young children and a Montessori Teacher for more than 10 years, Mama & Baby Yoga was a natural fit. "As Mothers, it is important for us to remember to take time to care for our whole self-mind, body, and spirit, making our job of caring for everyone else in the family a little easier and more meaningful." Jessica hopes to assist her students, adults and children alike to connect with Christ. Tammy Notoriano is first a child of the most high, then a wife to Michael, a mother for her grown children Meg and Drew. She began her journey with Christian yoga at Living Waters, finding God's healing for her on her mat. During a storm of her life, God called her to more. She has now completed her Masters in yoga, she is RYT-500 certified, and also has gotten certified in chair, trauma sensitive and adaptive (special needs) yoga. Her heart is to bring healing through Jesus to the broken hearted and under served in Detroit and the communities surrounding it. Fiona is a Wife & Mother of 2 adult children, when she and her husband moved around the world, yoga has always provided her with a like minded community, after practicing for many years it seemed natural to complete her 200 hr training in 2017, she has continued to expand her knowledge and practice under the guidance of Living Waters Yoga and is excited to share with others the spiritual and body benefits of practicing yoga regularly.